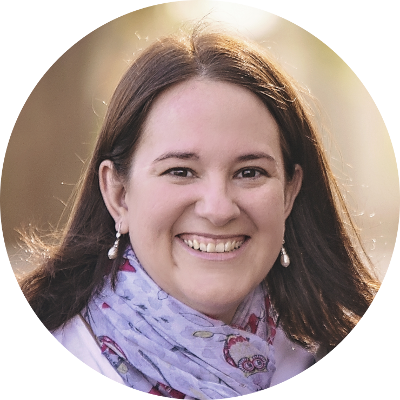 I’ve always enjoyed playing with Play-Doh together with Amy, we have spent many hours creating all manner of things and to be honest I think I have always had just as much fun as she has! 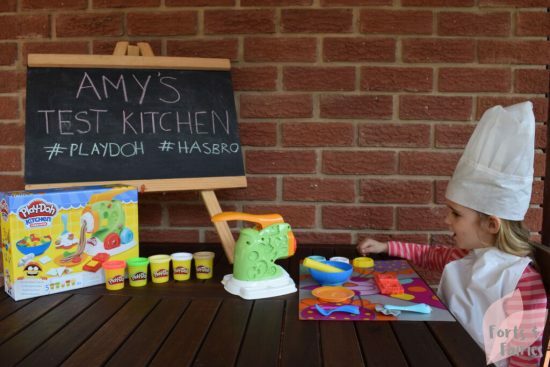 What sometimes started as just crafting a puppy soon turned into making her new furry Play-Doh friend a bed, a bone, water and food bowls and even some toys. The only problem being she never wants to squash them to pack away! 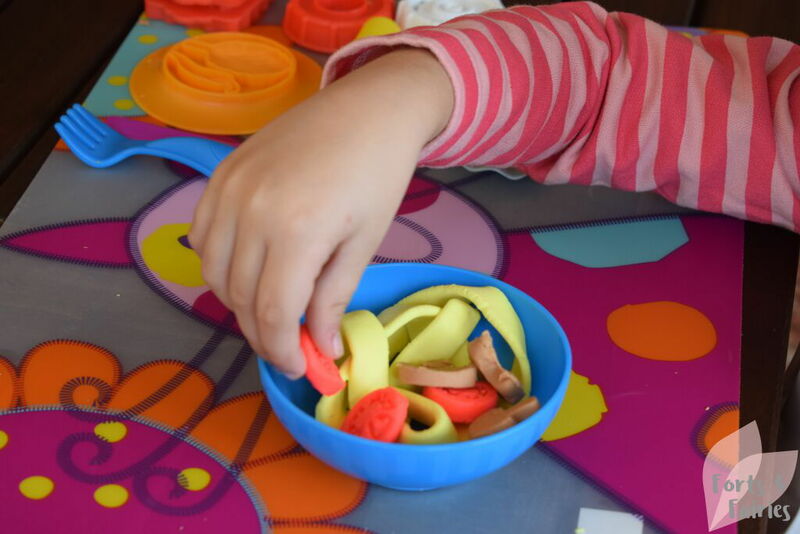 As you can see time spent with Play-Doh inspires your little ones to be imaginative, the sky is the limit with what you can create. 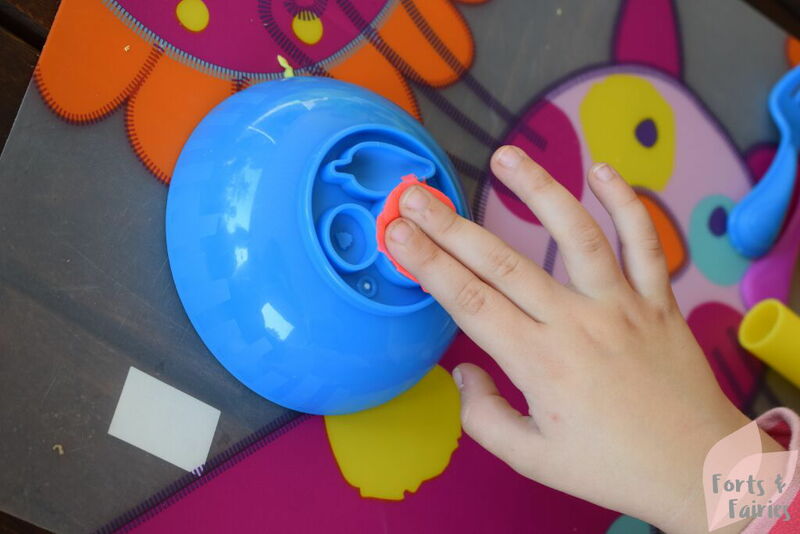 It also builds finger strength and is great to develop fine motor control skills and hand-eye co-ordination too. 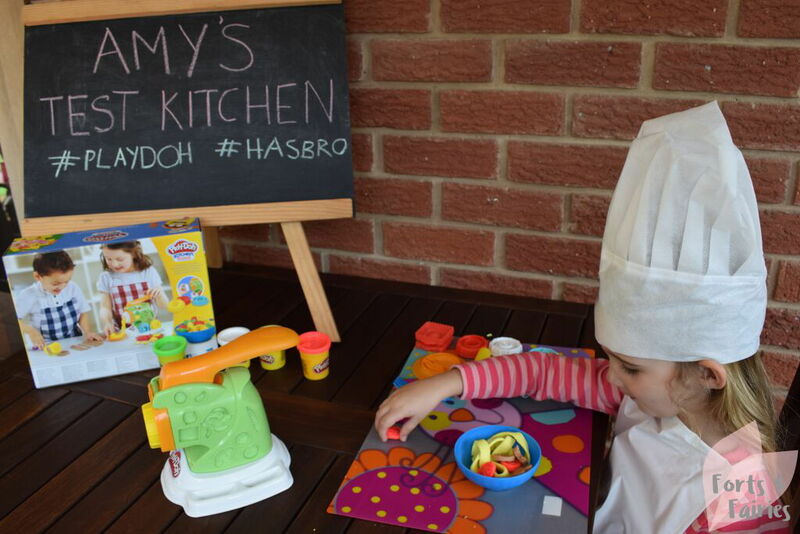 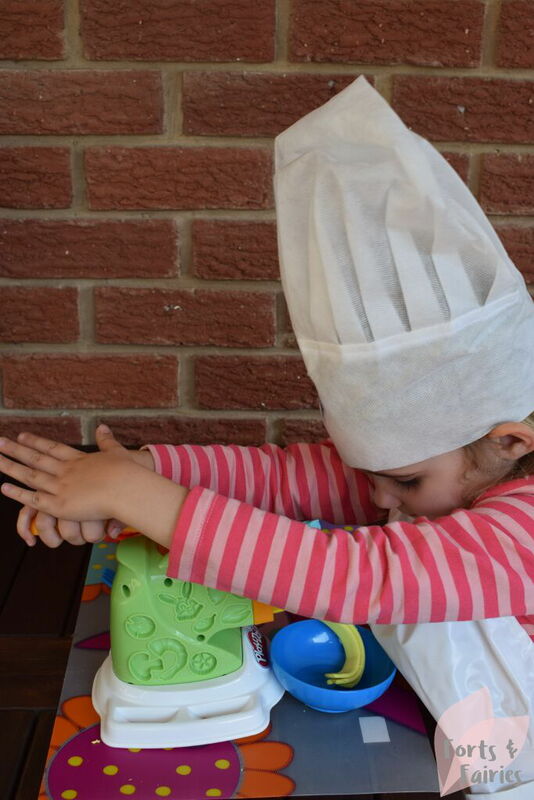 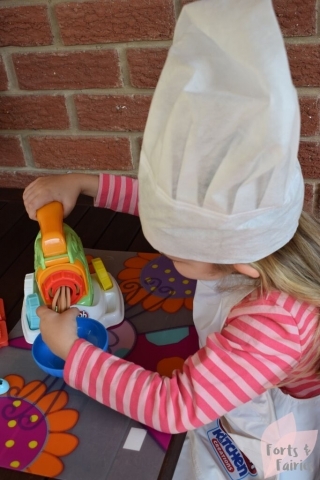 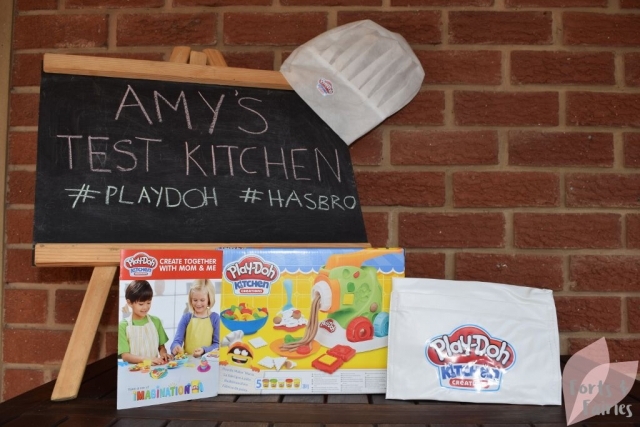 The new Play-Doh Kitchen Creations range includes 13 different playsets, and is perfect for inspiring your young chefs to create amazing food, ranging from hamburgers to pizzas and even cakes. We got the opportunity to test out the new Play-Doh Noodle Makin’ Mania and cooked up a storm together in Amy’s Test Kitchen. Chef Amy was so excited to make the different noodles, and within a few minutes she was handling the noodle maker like a pro. 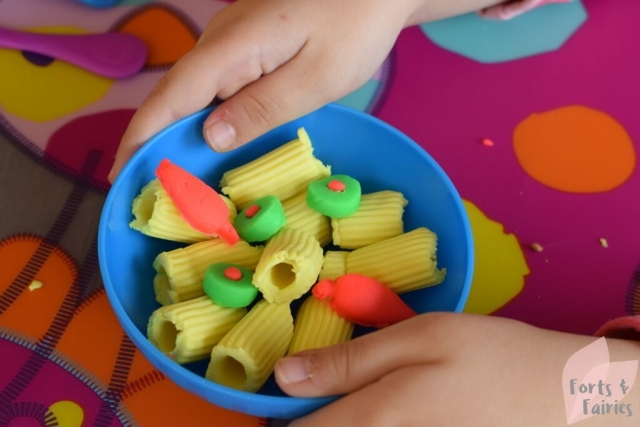 It was easy for me to assemble, with the base and handle just clipping on, and you can choose between four different discs to change the shape of the noodles. Pop some Play-Doh compound in the noodle maker and then press the handle down to create noodles, remembering to place your bowl underneath first to catch them of course! 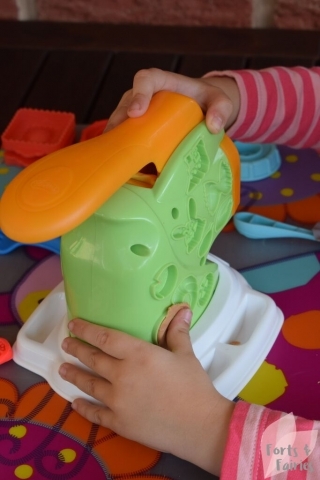 You can also use the book-mould to make ravioli while the roller and cutter can craft your lasagne. There are moulds on the noodle maker and under the bowl to create all sorts of toppings for your noodles. 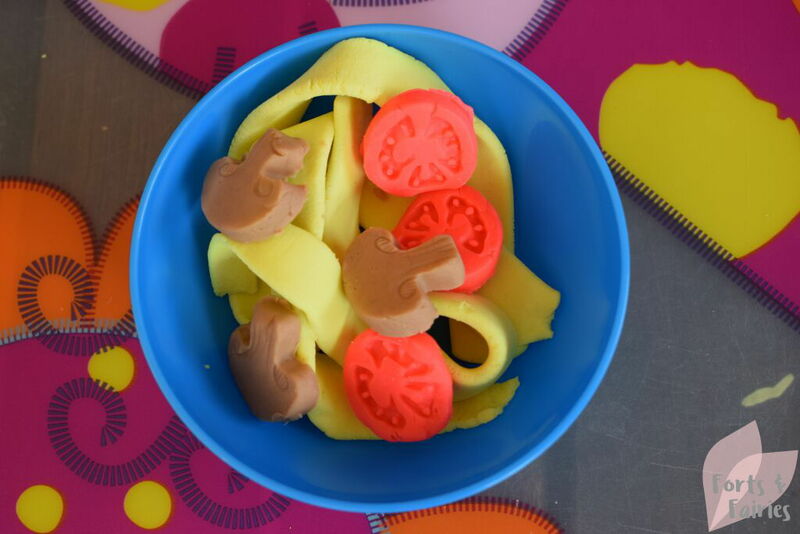 You can use one of the five different Play-Doh colours included (red, brown, yellow, white and green) to create them, so for example we made the tomatoes and chillis red while the mushrooms were brown, which made them look really good sprinkled on top of the noodles. We made our Jalapenos green with a small red centre, showing just how creative you can be. 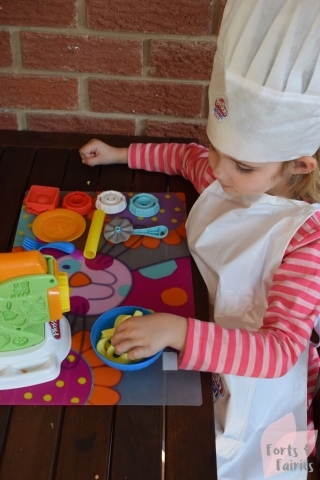 There are a bunch of different shapes you can create as toppings, ranging from shrimp to onions, from broccoli to peas in a pod, and even a toy train and bunny rabbit to keep things entertaining! 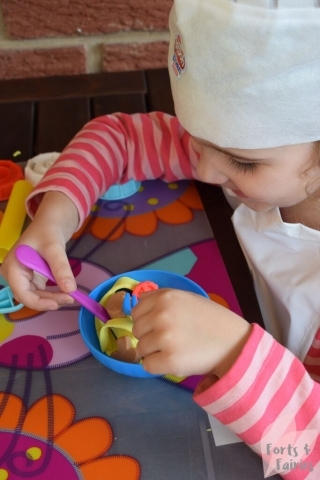 Of course, once you’ve created these masterpieces you must test them out. Amy loved serving her creations onto the plate and then using the small knife and fork to cut them up and pretend to eat them. 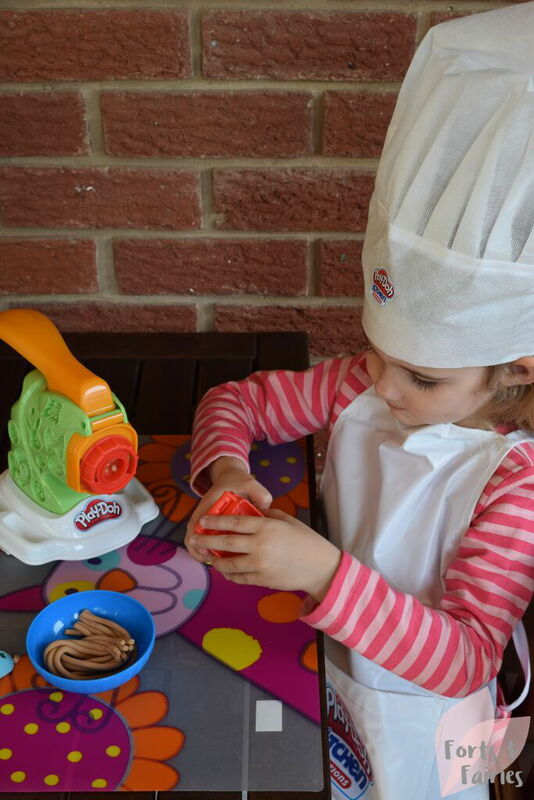 The Play-Doh Kitchen Creations range is available from leading toy shops and online at Takealot. It’s a fun activity to do together with your kiddies, but they can also enjoy creating different Kitchen Creations by themselves. 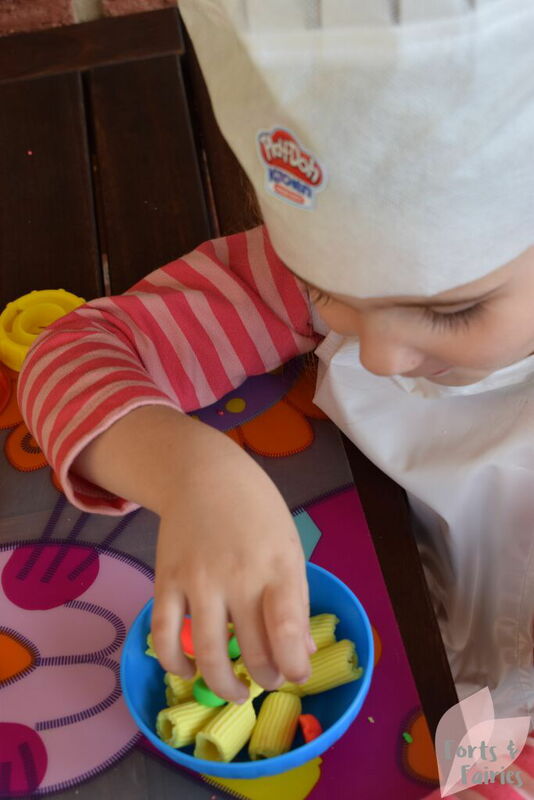 Thanks to Play-Doh South Africa for giving us the opportunity to cook up a storm without having to worry about the dirty dishes!